Assam Pedas literally means sour spicy. 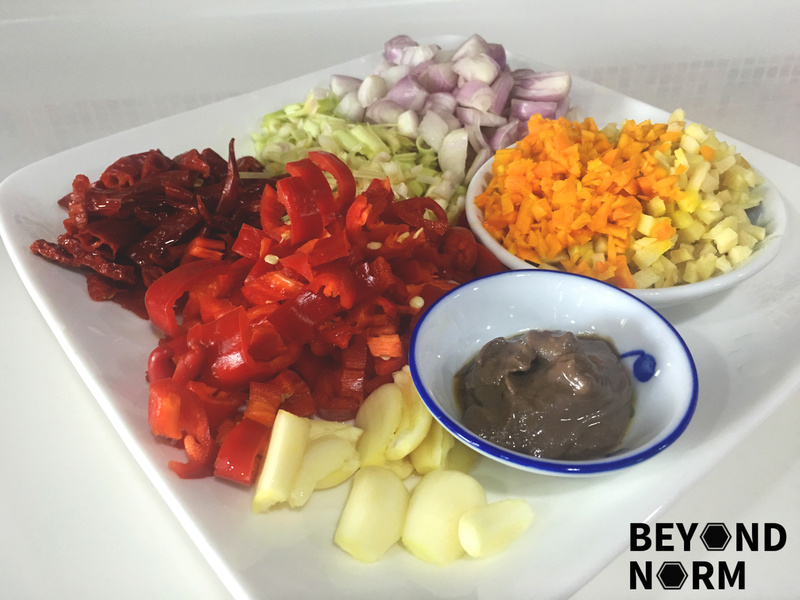 It is a classic Malay dish which is popular in both Malaysia, Indonesia and Singapore. 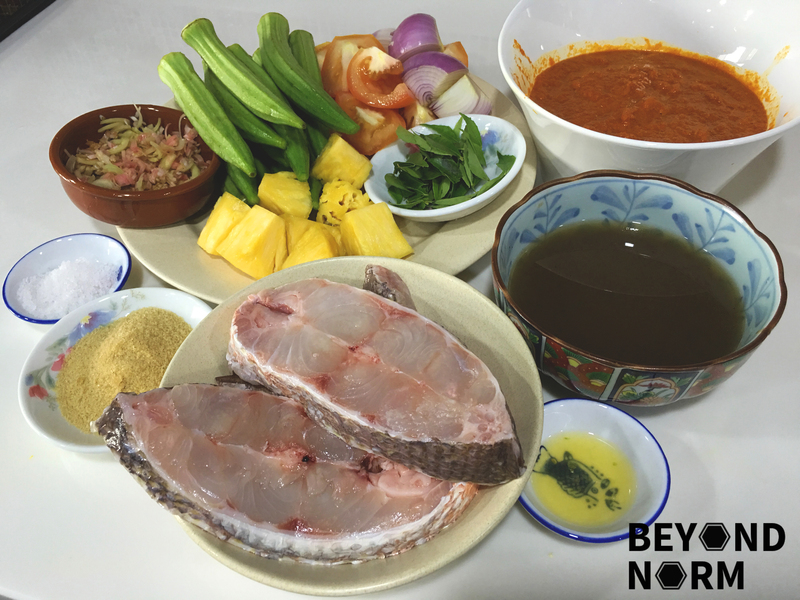 Traditionally, Assam Pedas calls for ikan tenggiri (Spanish mackerel) or ikan pari (stingray), but I used red snapper fillet instead. 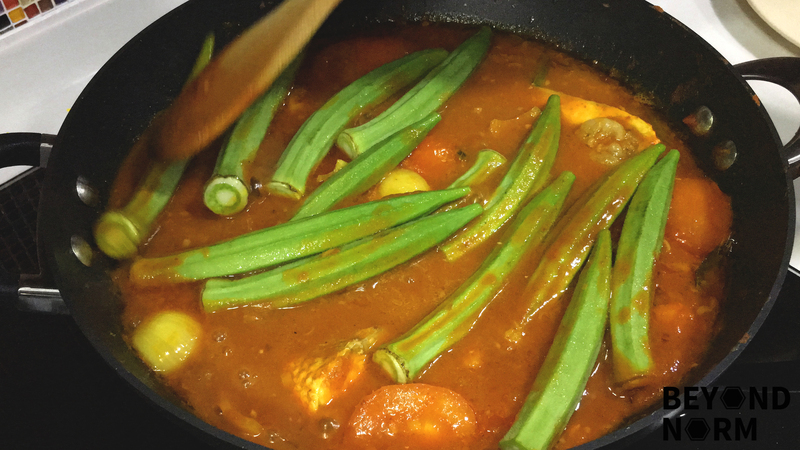 It is a very appetising dish as the gravy has the perfect balance of spiciness, sweetness and sourness that goes very well with steamed rice. 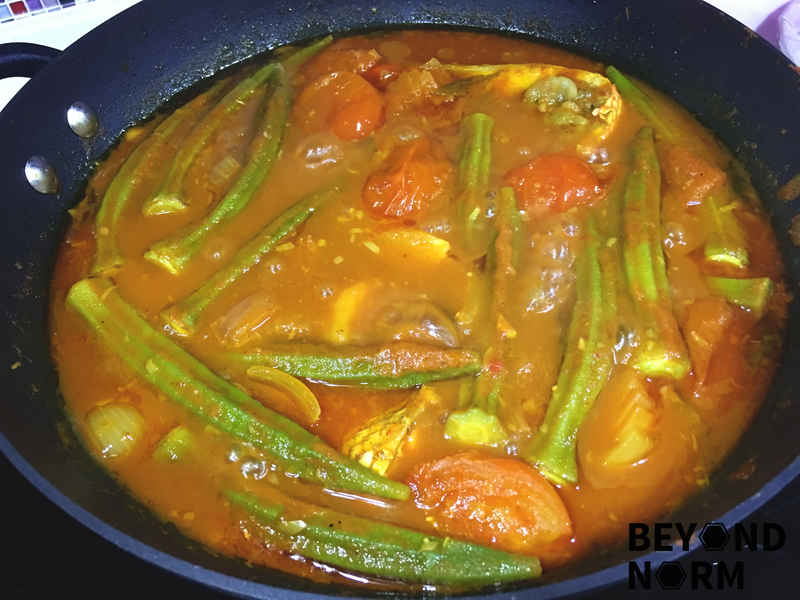 Personally, this is a perfect one dish meal as various vegetables such as okra, tomatoes and/or brinjal/eggplants and pineapples may be added to the Assam Pedas. Making the spices/rempah from scratch was a tedious process but it was worth every minute of my time. 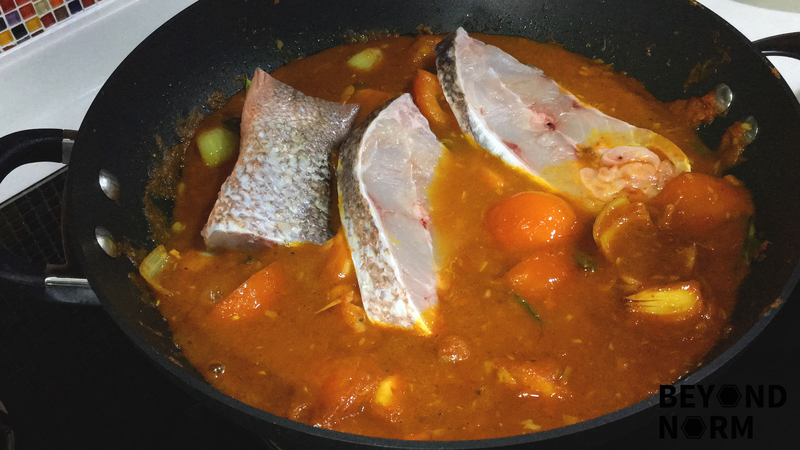 The taste of the Assam Pedas still lingers in my mouth as I am penning down this post. Yummy!! 1 Bunga Kantan/Torch Ginger Flower, cut into half remove the stalk and slice thinly. Ground the spices in a blender with a little water. In a wok or pan, heat oil over medium heat. Add in the ground spice paste and fry until fragrant. 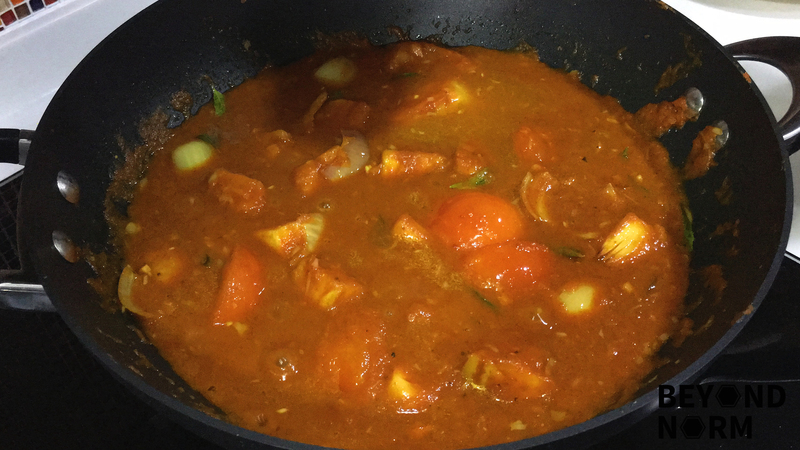 Add bunga kantan, onions, tomatoes, and pineapple. Mix them well with the paste. Then add in the daun kesom and the tamarind juice. Stir and cook for a short while. Add in brown sugar, salt, and lime juice then give it a stir. Add some water and simmer for 2 minutes. Add in the fish and addition water if necessary. Simmer for another 10 to 15 minutes or until the fish is cooked. Halfway through the cooking, add in the lady fingers. Cover and simmer. The amount of water you use will depend on the consistency you like. You may cut the okra into half. If you want it spicier, add more dry chilli. If you want it less spicy, remove the seeds of the chilli.